The Asian Venture Philanthropy Network (AVPN) will host the AVPN Myanmar Social Impact Forum in Yangon on Tuesday, 28 February 2017, 9:00am – 5:00pm at Chatrium Hotel. This one day Forum will comprise of keynote speeches and plenary discussions that will bring together a broad spectrum of stakeholders from Myanmar and rest of Asia. It will be a valuable platform for exchanging ideas and discussing issues related to impact investment, philanthropy and social enterprises in Myanmar. Martin’s core experience and strength lies in advocacy, branding, marketing and implementing corporate culture in organizations. Recruiting and training quality personal has been his main task. He also represents, Myanmar’s private sector as Board Member for the Myanmar Ministry of Health’s – Myanmar Health Country Coordinating Mechanism (MHCCM). He was previously, the Chief Executive Officer of Serge Pun & Associates (Myanmar) Ltd., which owns and operates over 40 companies. 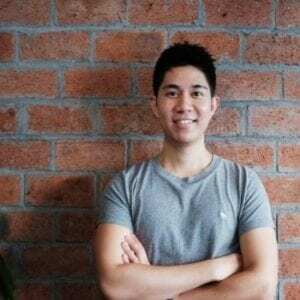 Alvin is CEO at GIVO, a social media and donation platform for charities. He graduated with First-Class Honors from the Masters in Management at Cambridge University and has studied Medicine at King’s College London. He was the Founder and CEO of a microfinance investment fund, and the National Director of Finance of a UK charity. He has corporate experience as an Analyst at UBS Global Asset Management, and is currently a Member of the Centre for Social Innovation at the University of Cambridge. Ken Tun founded Parami in 2004 and oversaw its growth into a variety of sectors. He is involved widely on issues concerning the energy sector and inclusive economic development of Myanmar . 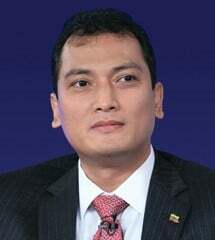 He holds an MBA from National University of Singapore and Bachelor of Engineering from Yangon Institute of Technology. He was honored as a Young Global Leader of the World Economic Forum.